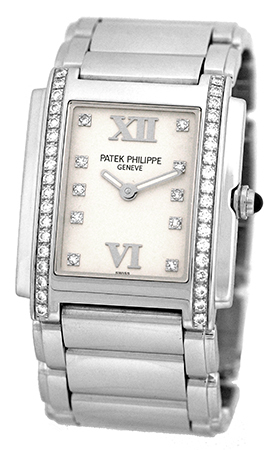 Lady's Stainless Steel Patek Philippe Diamond "Twenty- 4". 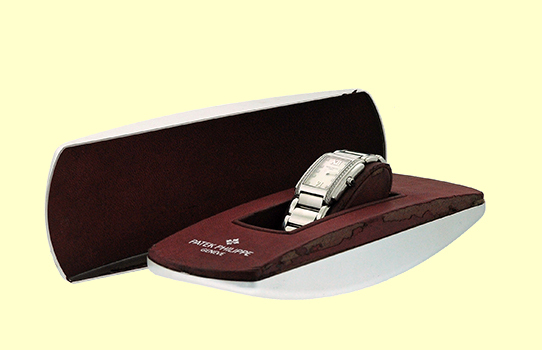 Factory White/Cream Diamond Dial with Diamond Hour Markers & Roman Numerals. 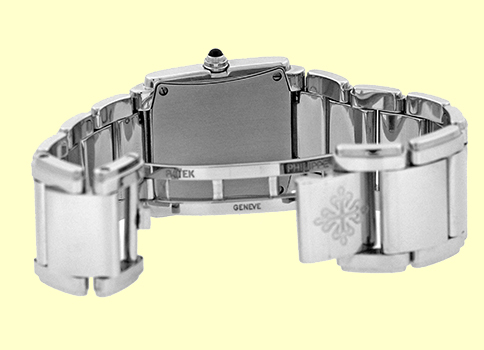 Factory Round Diamond Case, Sapphire Cabochon on Setting Stem, Sapphire Crystal. 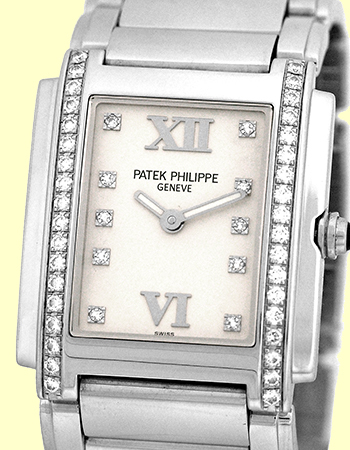 Certified Pre-Owned, Like New Condition with Patek Philippe Box and complete with Capetown's Lifetime Warranty! !